The prospect of a trade war poses "downside risks" to the US economy, which otherwise is poised to grow at a solid pace, the Federal Reserve said Wednesday. While the Fed said the steep tariffs on steel and aluminum imports that President Donald Trump imposed last month would not on their own have a significant effect, the possibility of "retaliatory trade actions by other countries" could be harmful. 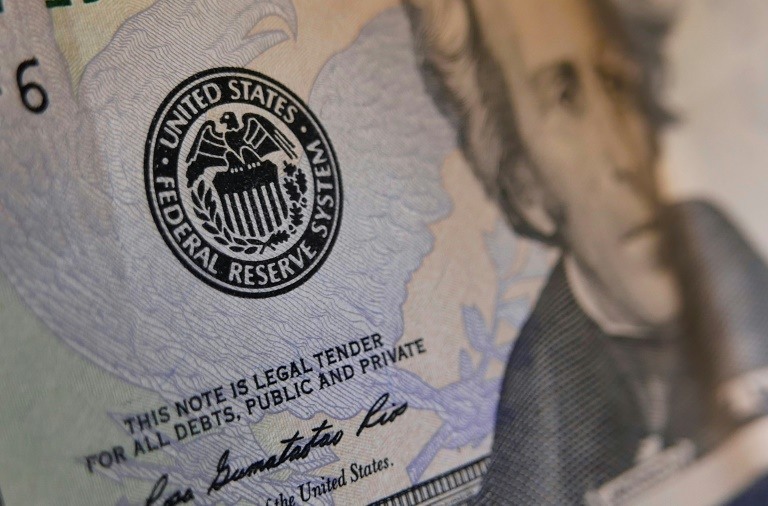 In the minutes of March 20-21 monetary policy meeting, when the Fed raised the benchmark interest rate for the first time this year, the Fed also cited "other issues and uncertainties associated with trade policies" as risks to the outlook. Business contacts in many of the Fed's 12 regions reported concern about the tariffs, with the agriculture sector "feeling particularly vulnerable to retaliation," the minutes said. Trade tensions with Beijing have escalated in recent weeks since Trump announced the tariffs and targeted China for additional 25 percent punitive duties on nearly $50 billion in goods for its alleged theft of US intellectual property. Each side has since upped the ante with further tariff threats, spooking global equity markets amid the real concern that a trade war could erupt. China's President Xi Jinping offered some conciliatory words this week, promising to open the country's economy further, which defused some of the strain. And while some observers were skeptical of the substance, it was seen as a sign a negotiated settlement could be possible. Despite the concern over trade policy, the discussions by the Fed's policy-setting Federal Open Market Committee said the economy was expected to grow at a solid pace. The recent tax cuts and budget agreement "were expected to provide a significant boost to output over the next few years," the minutes said. However, the Fed said it would be hard to quantify the impact of the tax cuts, since there is little experience with providing this type of fiscal stimulus in an economy already maxed out. And some officials noted that the higher budget deficits caused by the tax cuts also pose a "downside risk to the economic outlook." The Fed noted once again that inflation is expected to hit the central bank's two percent target over the medium term, despite staying stubbornly below that level for many months. The minutes showed some division among Fed officials on whether March was the right time to raise the key lending rate, with "a couple of participants" arguing the central bank could wait until there was more evidence of the pickup in inflation. Even so, the decision to hike by 25 basis points was unanimous among the voting members. All participants agreed that with the current pace of growth and the tight labor market -- with many businesses having trouble finding workers and some raising wages -- the Fed will have to gradually raise rates further. But again there was some difference of opinion on how gradually, as "a number" of members said the rate path "would likely be slightly steeper than they had previously expected." The Fed -- like financial markets -- had blamed last year's price drop for cell phone service for at least some of the bafflingly low inflation in 2017. But as those rates are now picking up, inflation too should move higher, but that won't automatically lead to more aggressive rate moves. The minutes said "the increase in the inflation rate arising from this source was widely expected and, by itself, would not justify a change in the projected path" of rates. 0 Response to "US Fed: Prospect of trade war poses 'downside risks' to economy"